UNIQLO LUCKY SWITCH from HN on Vimeo. "On Thursday 17 June 2010 the Vinnies CEO Sleepout takes place in capital cities across Australia. The event challenges business and community leaders to experience homelessness first-hand for one night, raise important money, and with fresh insight go on to effect change in social opinions on this serious issue. All money raised goes directly towards the ongoing provision of Vinnies' homeless services across the country. 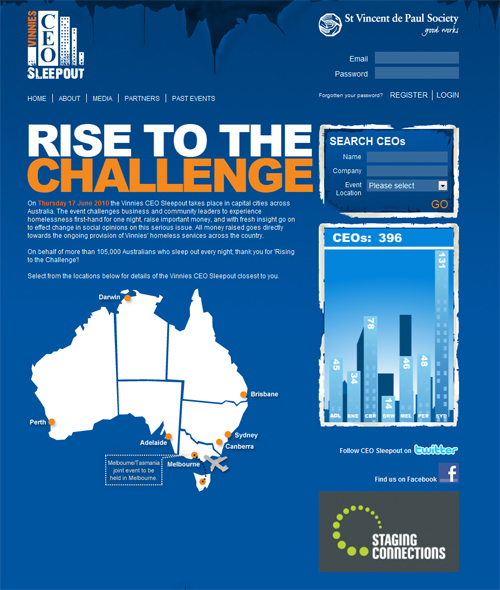 On behalf of more than 105,000 Australians who sleep out every night; thank you for 'Rising to the Challenge'!" This has been running since 2006 (with 4 people) but is now really picking up steam with over 200 CEOs joining last year and 396 so far in 2010. On a side note: I heard of services where business men in Japan pay good money for this experience to "rough it" but my Google skills could not being this up. It could be an urban myth? BANNERBLOG'S HELP: Like last year we'll post the 10 best entries we receive (send us the Yotube link) to submit @ bannerblog.com.au and we'll post them on our homepage for a 12hr period. Giving you a much needed boost in views and comments. Saatchi and Saatchi NY and their client General Mills' for Honey Nut Cheerios. 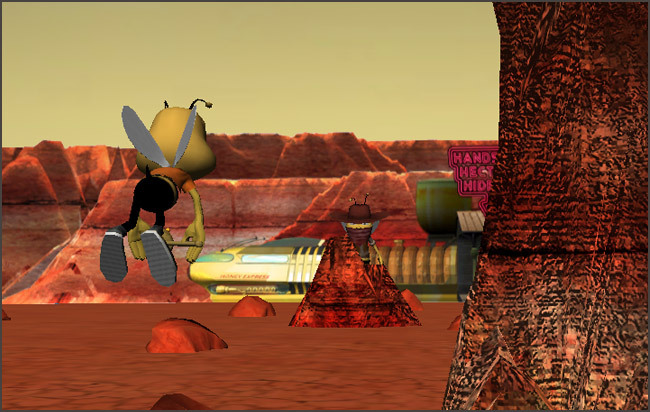 Honeyway Train Augmented Reality Game from Boffswana on Vimeo. A world first Augmented Reality (AR) game using the Unity3D engine. It was vital that the physical world becomes part of the game as opposed to AR being a gimmick pasted on top. So the actual Cheerios boxes activate and control the game. It is a unique game experience that offers kids something they haven't seen before, and most importantly it's a whole lot of fun. The game controls are very intuitive and the user controls everything with the box from clicking "Start Webcam Game" all the way to the "Game Over". Check out the News Archive for the rest of the news content.